Robert Icke productions are becoming must see theatrical events as his reputation grows with each stunning and imaginative production. His previous West End productions of 1984, The Oresteia and Hamlet all enjoyed great critical acclaim for his direction and the performances within them. 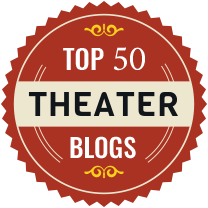 This success creates a growing expectation of powerful creative theatre. 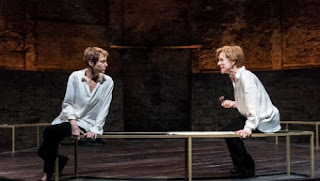 The production of Mary Stuart started life at the small intimate Almeida theatre and generated much interest by the gimmicky sounding coin spin which opens the show to determine which actress plays Mary and which her nemesis Elizabeth. It's transfer to the Duke of York's, twice the size of the Almeida, therefore was much anticipated and in some ways suffers from this anticipation with its relatively slow wordy first two acts and clunky frequent entrances from the floor of the auditorium. However it explodes with intensity and energy with the two Queen's imagined only meeting and then never lets up in a rollercoaster decent to the inevitable finale. The historical story is familiar to most of us. The threat to the rule of the tolerant Protestant Queen Elizabeth from her first cousin the Catholic Queen of Scots which results in her imprisonment for 19 years while the courts of England and France plot and counter plot. The play was written by the German playwright and philosopher Frederich Schiller in 1800, over 200 years after the events it depicts and clearly sympathises with Mary. Robert Icke's masterstroke is to take this tale and present it in modern dress with TV's, syringes and a digital clock to give it a freshness that both strips the original story back to it core, the challenges faced by these two women and their positions in the society of the day and points clearly to the parallels in the politics of today with Brexit , devolution and the threats posed by opposing religious ideologies. At the same time it draws out the weight of responsibility on leaders for critical decisions, their difficulties of knowing who to trust despite their power and the emotional conflict that their position can create with their personal life. 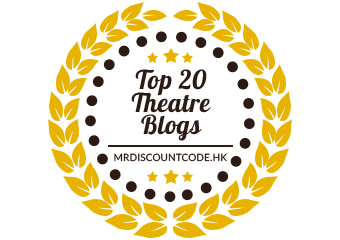 The coin spin is not only a neat theatrical devise to add spice to the evening but also a metaphor for those critical moments in history that turn on a simple choice by the leader of the day. 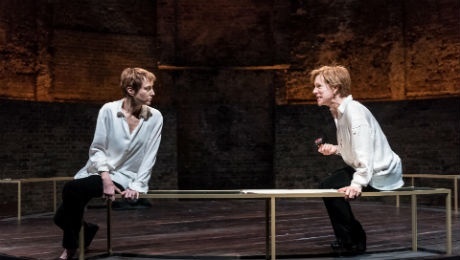 The strength of the production is dependent on the two central characters played by Lia Williams (who was so wonderful in The Oresteia) and Juliet Stevenson (the multi nominated classical actress). On the opening night Lia Williams won the toss to play Elizabeth and skilfully portrays the burden of authority that weighs on the Queen and gradually moulds her into the iconic figure that we have grown up knowing as the Virgin Queen. 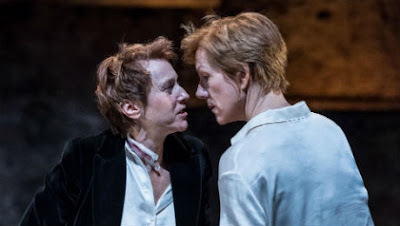 She at least gets the first act off stage to prepare herself, while Juliet Stevenson is immediately stripped of her velvet jacket and shoes and thrust into her confinement where her royal status and strong religious beliefs are challenged by the rule of English law. Her call to be judged by her peers rather than the council of forty two who write the laws of the land is a rather dry scene setting debate. However in her emotional uncontrolled out burst when the two queens meet and her serene and regal preparation for her execution, Stevenson's Mary wins out hearts while William's Elizabeth wins our sympathy. They are supported as actresses by a strong cast of courtiers and servants although as Queens this support waivers except for the steadfastly loyal servant Kennedy, played by Carmen Munroe. The political ringmaster Burleigh (Elliot Levey) and the would be lover Leicester (John Light) are Elizabeth's leading advisers but we see their political ambition, rivalry and duplicity that ultimately isolates and forces her hand. There is powerful, emotional and consistent support from an excellent Michael Byrne as Talbot who gives "sound advice from an old guy". 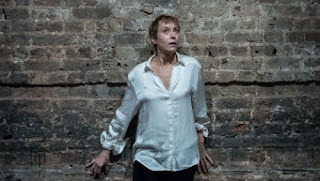 The staging by Hildegard Bechtler is simple with stark stone walls that create the sense of imprisonment that both Queens feel and the climax is dramatically enhanced by the musical composition by Laura Marling and the underscoring sound design by Paul Arditti. 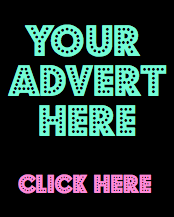 Icke has created another coup de theatre, a dramatic theatrical experience with strong thought provoking messages about leadership, relationship and politics and a platform for more award winning performances.